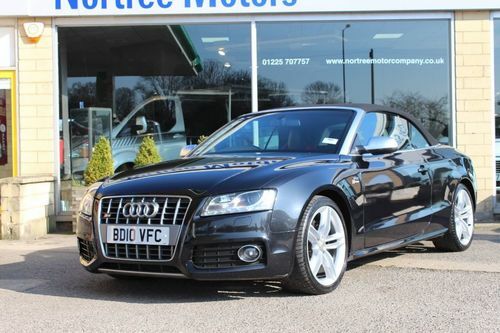 This Audi A5 has 92500 miles on the dashboard and incorporates a 2995CC engine. It runs on Petrol with Automatic transmission and comes in the shade of Black. Is this particular Convertible used car the one you want, or would you like to know more? Send an email or call Nortree Motor Company Limited ASAP. Containing a 2198 CC Diesel engine and Manual transmission, this second-hand Ford TRANSIT comes finished in White and has 32700 miles on the clock. 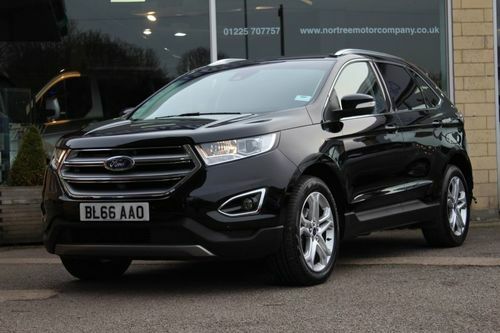 As you might expect from a vehicle in this class, this Ford offers you a substantial amount of additional specifications, further enhancing your driving experience. 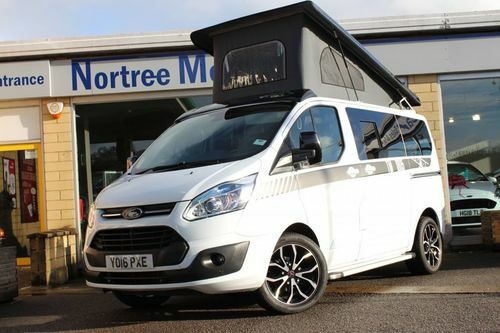 If you want to become the new owner of this second hand Ford TRANSIT CUSTOM CAMPER 2.0 290 vehicle then just visit the sales team at this dealership in Melksham to arrange a viewing. Go out on a test drive and put yourself behind the steering wheel to see what it feels like on the road. Up for sale today is this Hatchback containing a 998 CC Petrol motor with Automatic transmission. On offer at the marvellous price of just £19,995 and affordable instalments at hand starting out at £461.29 per calendar month. This second hand car is situated in Melksham, however the dealer may be able to deliver to where you are. Phone them to find out more. In the tone of Silver, this vehicle has 43000 miles clocked up on the dashboard and incorporates a Automatic 2993cc engine requiring Diesel. The team is at hand to provide assistance in helping you to discover which affordable repayment options are most suitable for your budget. Simply contact Nortree Motor Company Limited located in Melksham to find out more info. An awesome low mileage Ford featuring Automatic transmission and a 2.0 Ltr Diesel engine. Depending on a credit check, this second hand car could be yours. Find out about the large array of payment methods at hand for you to take advantage of by having a chat to the friendly team at this car dealership located in the Melksham area. 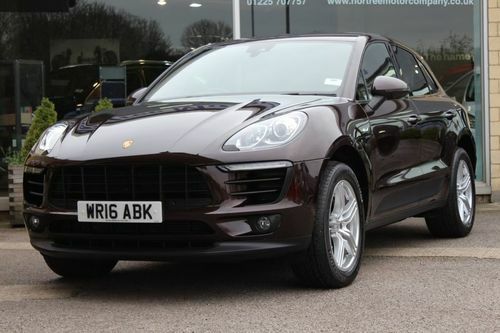 Test drive this MACAN 3.0 D S PDK with a 2967 CC Diesel motor and Semi Auto transmission. This second hand one at our dealership in Melksham has low mileage. As expected from a vehicle in this class, this MACAN 3.0 D S PDK has a broad array of additional specifications, offering its drivers an enhanced motoring experience. Providing its next proud owner a truly excellent and high class way of getting around, this MACAN 3.0 D S PDK is currently on the market and ready for a test drive. Just pay a visit to this car showroom or pick up the phone to speak with a member of their helpful team for a more in depth discussion. 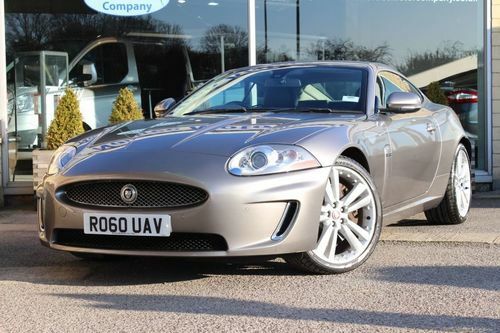 Our dealership is advertising a mere £18,995 for this Jaguar consisting of a 5.0 Litre Petrol motor, Automatic gearbox and 86430 miles clocked-up on the dashboard. Also, this particular vehicle comes with a full report of any prior servicing. At such a bargain price, it may not be for sale for much longer, don't miss out on this deal from our showroom located in Melksham. This second hand car is currently on the market and ready for its next owner to drive away. It's got 9900 miles on the dash, 3 doors as well as a 1998 cc Petrol motor and Manual transmission. Don't pay £18,987 up front. 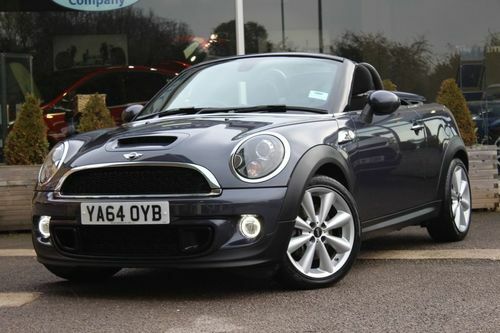 Get this COOPER S soon with a loan from only £438.03 every month without a down payment. An outstanding Mitsubishi L 200 2.4 DI-D 4WD BARBARIAN with low mileage. Get in touch or pop in and visit Nortree Motor Company Limited to find out more. On offer and ready for its new owner to drive away is this FIESTA with Automatic transmission and a 1.0 litre Petrol engine. 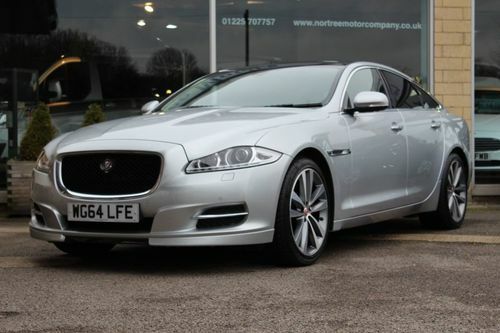 This second hand model at Nortree Motor Company Limited priced at £11,300 has clocked-up 10163 miles. 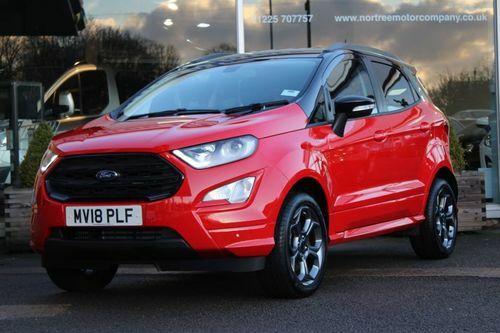 Get in contact or drop in and visit the qualified personnel at Nortree Motor Company Limited to know more about all of the attributes that make this second hand Ford Hatchback car so dependable and trustworthy. Available at the brilliant price of only £11,300 or alternatively you can also buy on finance with achievable repayments commencing at only £260.69 monthly. 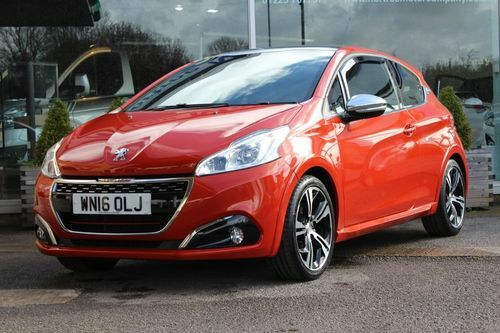 Containing a 1.6 ltr Petrol motor and Manual transmission, this second-hand 208 1.6 THP GTI PRESTIGE is on the market in a Orange finish with 18630 miles on the dash. Get yourself over to see us at Nortree Motor Company Limited or call to book an appointment for a test-drive in this second hand 208 with low mileage. 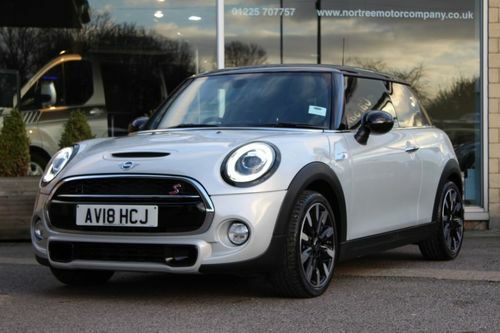 Planning on buying a Mini COOPER S? Well, consider going for this used, low mileage one encompassing a [engine-size-ltr] Litre Petrol motor, Manual gearbox and only 18081 miles clocked-up on the dashboard. Arrange an appointment for a more in depth discussion with part of the sales department to learn what instalment methods are available on this motor. Available on the market is this Blue 5 door BMW. This particular vehicle has 41000 miles on the dashboard and incorporates a 1598 CC Petrol engine and Manual transmission. Cannot pay £10,995 up-front? 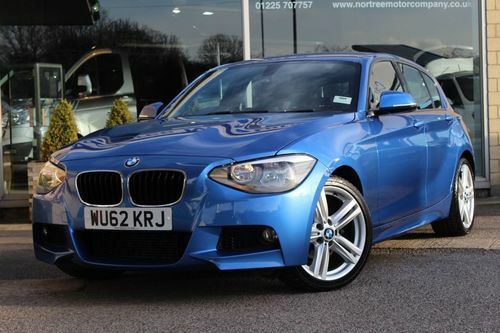 Then get this BMW 1 SERIES 1.6 116I M SPORT today on credit beginning at only £253.66 every month without any down payment. Are you thinking of going for a Hatchback vehicle created by the Ford company that gives its driver a higher level of durability and trustworthiness than an average car? Consider this second hand model that comprises of a 1499 L Diesel engine and has 26830 miles on the clock. As expected of a high quality car manufactured by Ford, it has an assortment of extra specifications in order to enhance your motoring experience. To assist you in buying this FOCUS, this dealership also has a range of credit options at hand for you; your instalments could begin from only £271.81 per month. 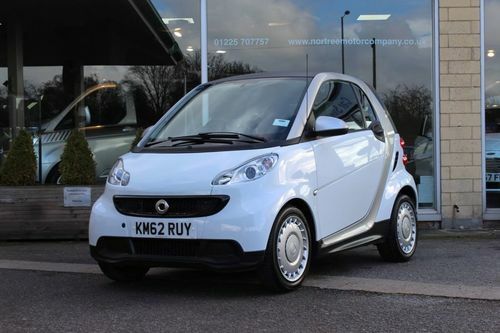 Get this second hand Smart for £5,173. Finance offers start out at as little as £119.34 every month for this vehicle with 5500 miles on the dashboard, 1.0 LTR Petrol engine and a Automatic gearbox. Contacting the friendly staff to have a chat about what instalment strategies are at hand, could be the first step in becoming the next proprietor of this Smart.. 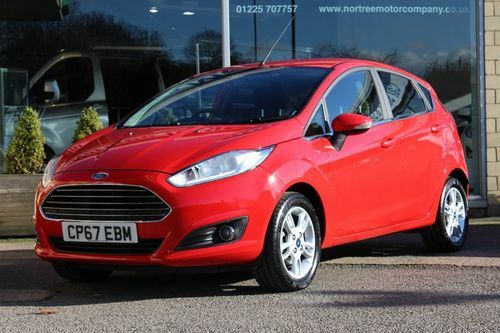 Available to buy is this near mint FIESTA with a low mileage of only 1279 miles. 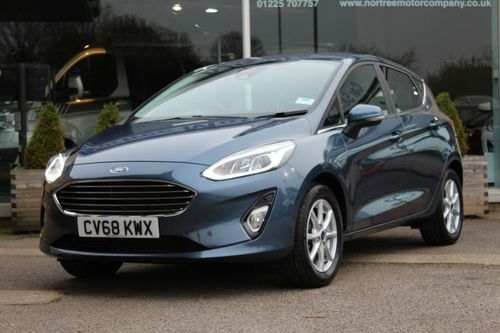 As you can expect from a car in this class, this Ford FIESTA comes included with an extensive variety of extra features and specifications, further enhancing your driving experience. This low mileage second hand vehicle is for sale at £13,500 with manageable payments commencing from £311.45 pm. Call or email Nortree Motor Company Limited in Melksham today for more information about the vehicle and to organise a test drive. Finished in the tone of Black this second-hand Mini is fitted out with a 1.5 Litre Petrol motor with Manual transmission and it has clocked-up 26266 miles. To learn what finance options are available, get in touch with the knowledgeable staff at this dealership in Melksham. 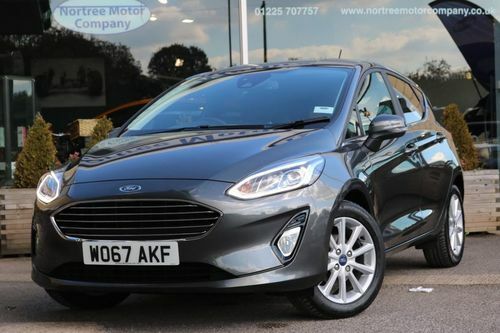 With only 8183 miles clocked up on the dash, this Ford 1.0 TITANIUM 5D 99 Hatchback encompasses a 998 CC Petrol motor, a Manual transmission and is available in Grey. On offer at the marvellous price of only £14,081 or with the option to purchase using finance with achievable repayments at hand from £324.85 pm. You could buy this Hatchback motor in Melksham from this merchant with credit. Repayment packages begin from only £324.85 monthly. Showing 1-18 of 11,284 items.